Project Draw lets me create text that I could easily edit. 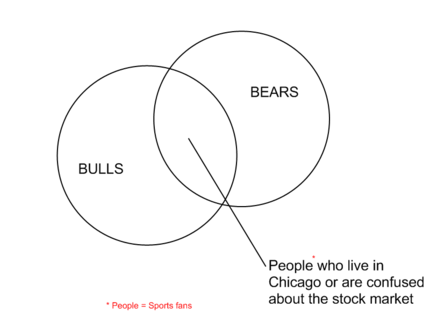 I could easily change BULLS to BULLISH, BEARS to BEARISH, and move the description of the intersection. It's true that the Microsoft saying of "eat your own dog food" can help one discover software benefits. 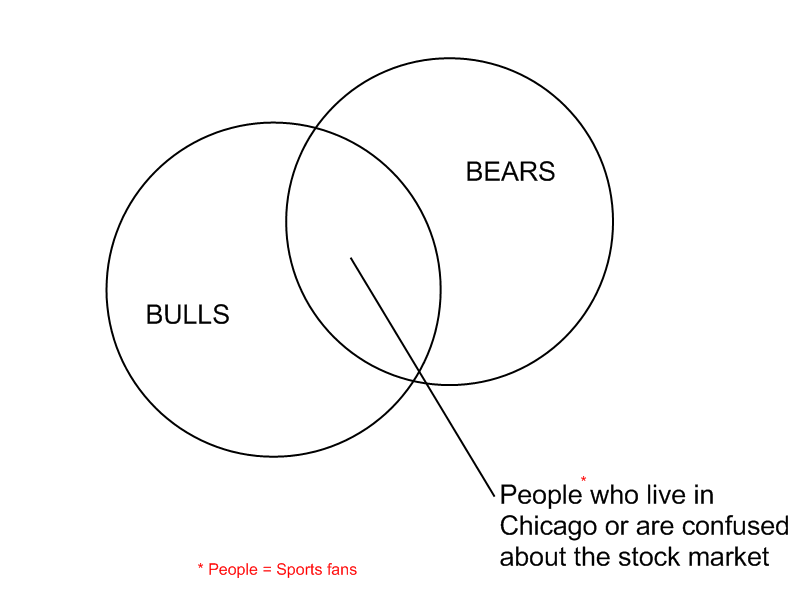 For non-watchers of American sports: The Chicago NBA team is the Bulls. The Chicago NFL team is the Bears. Bullish stock market traders believe the stock market will go up. Bearish stock market traders believe the stock market will go down. Diagramming without installing additional software is alive in the lab.